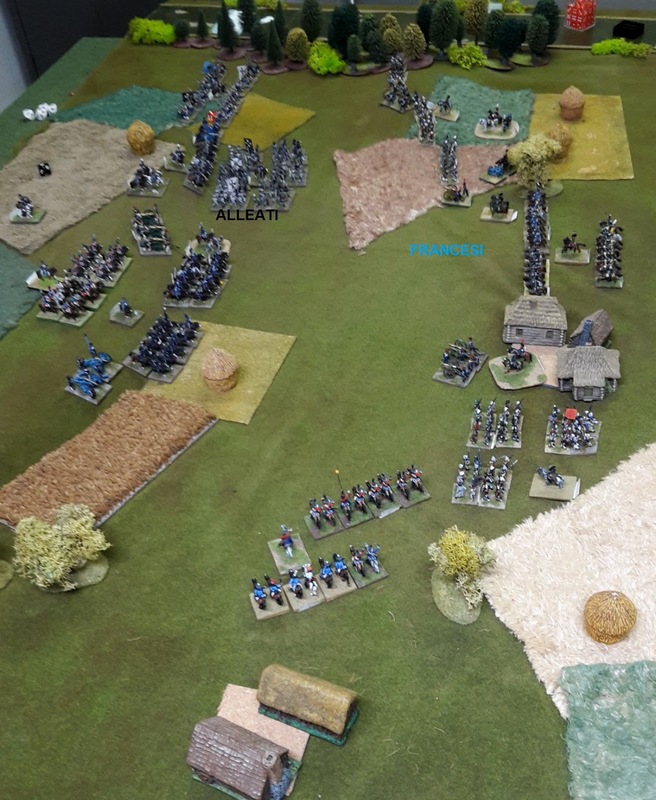 Last Friday two of my club mates finished to play the battle of Katzbach. They played the battle in two different days because they were testing a new rules book: "Over the hills". In this post I will not done a review of this rules system because it is possible to find it a better recension in my friend's blog (JJ's Wargames blog). 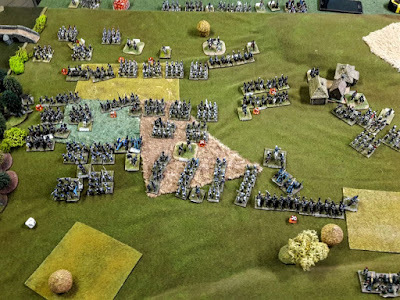 I'll publish some pictures of battle scenes and details of the fight to help someone that wants to re-produce it with the same rules system. Battle of Katzbach was fought on August 26, 1813 in Poland. It was an angagement of the Napoleonic Wars between the forces of the First French Empire under Marshal MacDonald and a Russo-Prussian army of the Sixth Coalition under Prussian Marshal Von Blücher. The battle of the photos below is fought between Ezio (Sixth Coalition) and Alberto (French). The scenario was adapted from General de Brigade and considers only the struggles of the right Allied wing. Final position ... The Coalition wins the battle as well as in the real history. 6 lbr, Light Medium Art. 6 lbr, Light Medium Horse Art. 6 lbr, Light Med. H. Art.